Suitable for ages between 3-14. 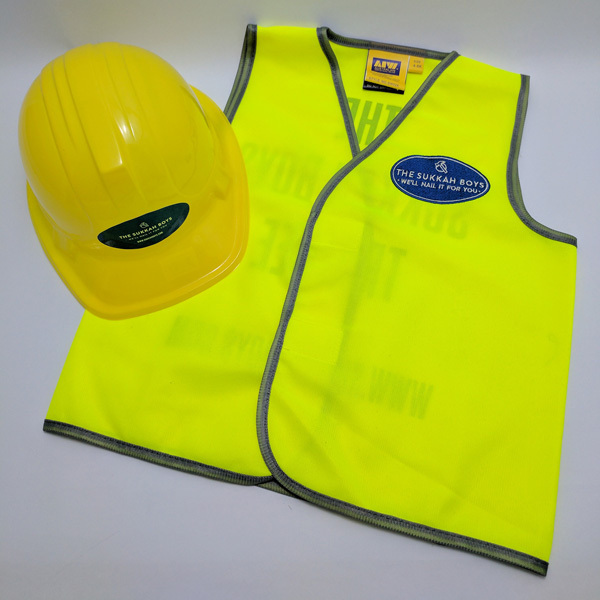 Includes safety hat & vest. 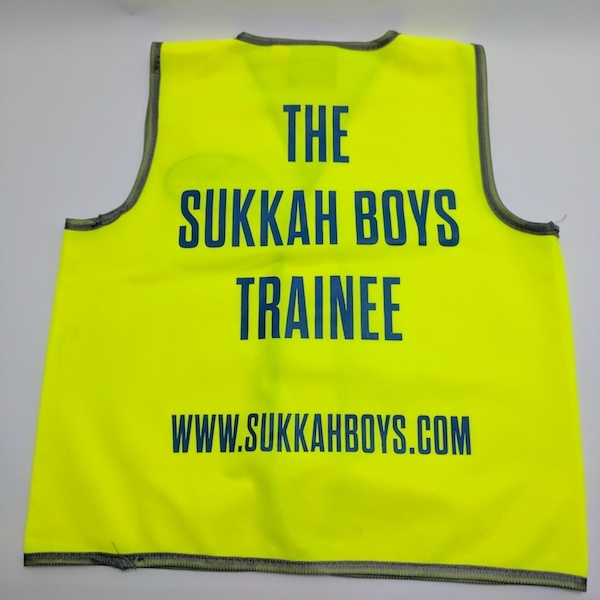 Your child can become a Sukkah Boy “Trainee” with this Kids Sukkah Boys Safety Set, which includes a vest and hat. 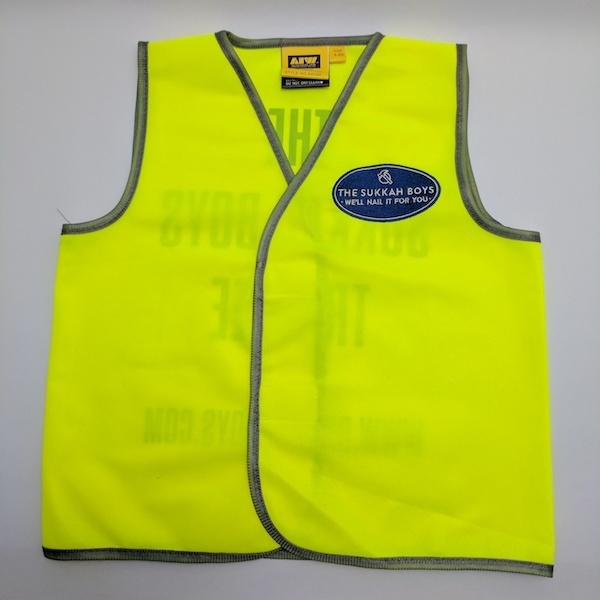 To be worn when helping build the Sukkah and hanging up decorations. 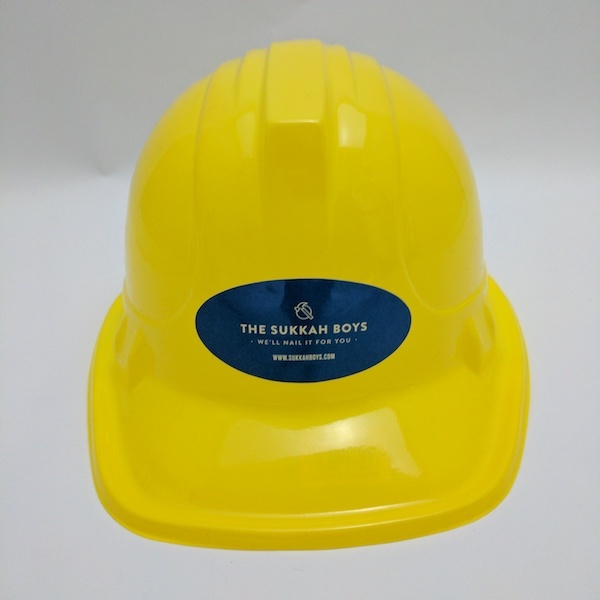 They are high quality and come in 3 sizes and can be worn by boys and girls alike. 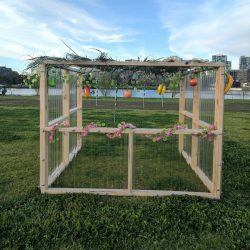 Involve and engage your kids in family Sukkah building activities! –	Do not bleach or iron.